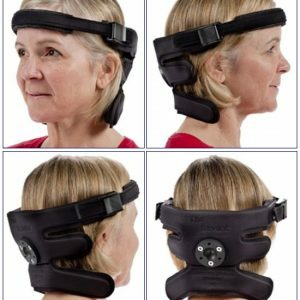 There are many reasons head supports can be life changing. 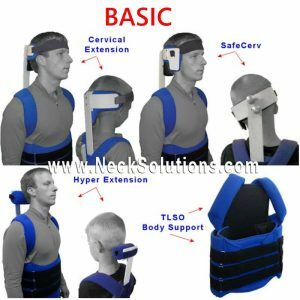 Those who suffer from diseases that effect the neck muscles like ALS, Parkinsons, Muscular Dystrophy, as well as conditions resulting from brain trauma, radiation therapy and even cases of whiplash and advanced degenerative spinal conditions often require a support that can assist holding the head up. This can be a matter of comfort and relief of pain, or being able to perform daily activities, as well as important support for breathing and eating. The type of head support depends on the condition; it’s severity and how it effects your life. 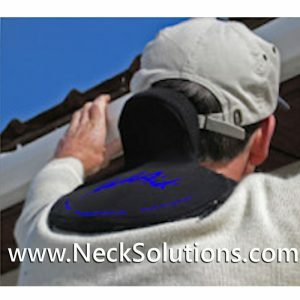 Supports most often are used for drop head syndrome, where the head falls forward. While many are simply supportive, some are more complex and use a restorative or neurorestorative function for correction where possible. Most of the supports require modification or customization, such as heat molding, bending by hand or cutting pieces. It is recommended to work with your therapist in measuring and modifying the supports. Correct measurement is vital for the best fit and function. The Headmaster Collar is an example of a support that can be modified simply by hand bending and molding for best fit. The chest piece can be bent to accommodate the clavicle bones, alleviating pressure. Accessories are used to modify function for added support in extension and side bending. 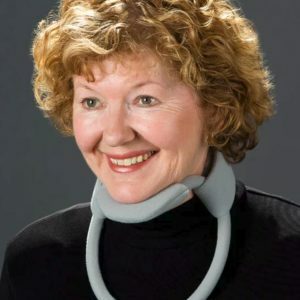 The collar has a natural spring to it for better comfort and function when eating and speaking. For those requiring stronger drop head support, a piece may be added to the front, strengthening the collar. This comes at a price as it greatly stiffens the collar, negating the natural spring function. However, this is sometimes necessary to get the degree of support required to hold the head up. 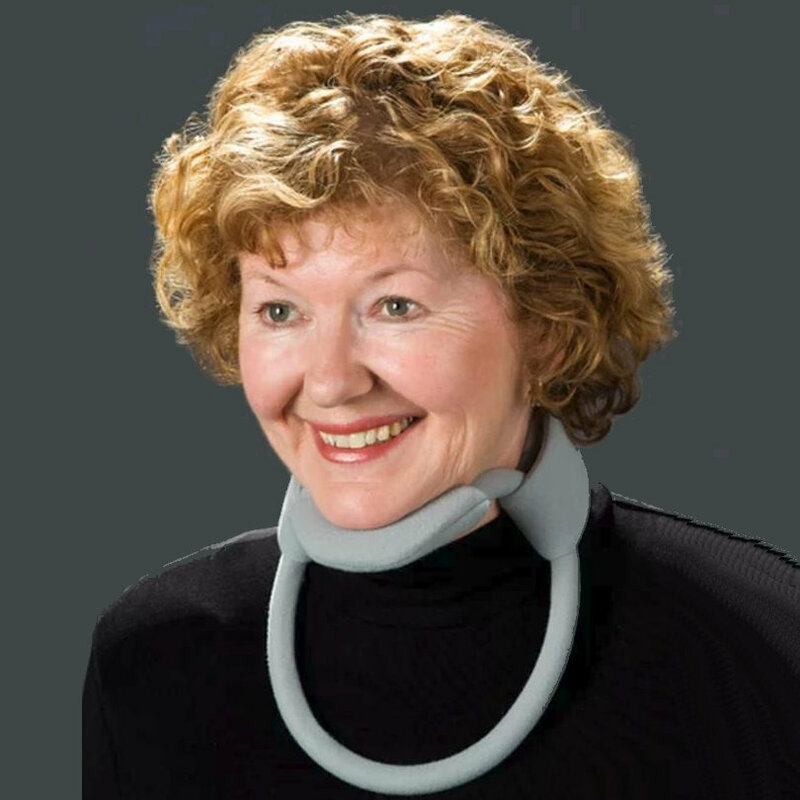 The head support system and torticollis brace are neurorestorative devices, meant to be heat molded and ranged over a period of time for correction. These may also be used for standard support as well. They secure around the torso or chest area, while the special molded piece contacts or supports the head. 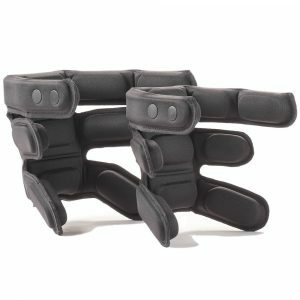 This has the greatest number of configurations for the widest range of conditions requiring head support. 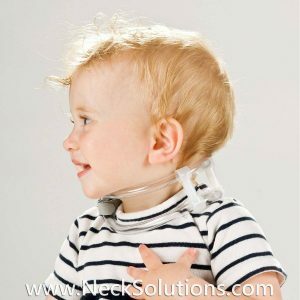 As with torticollis, you start by heat molding the unit for slight support and gradually, over a period of time, adjust by heat molding to range the head back to normal. The special spring technology works with the nervous system for correction. 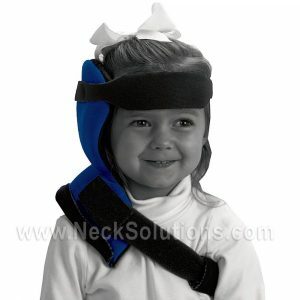 The Tot Collar is used to provide a noxious stimulus to range away from the side of torticollis. This also works with the nervous system for correction, rather than just support. Individual struts can be cut to specific lengths for the perfect fit. This changes as the condition changes. The collar needs to be cut for the best fit as well as customizing the struts. This is a favorite of therapists for use in children with congenital torticollis, and many find that patience and persistence result in improvement and even complete correction. It is also available in an Adult size as well, nut it must be remembered it is more restorative than supportive. The Canadian Collar is another type of support that is more for positioning than direct drop head support. Like the Tot Collar, it uses a tubular system that is light and airy. Like the Headmaster Collar, it uses two main points of contact with a chin piece and chest piece. The Canadian is often preferred by doctors and therapist for conditions like rheumatoid arthritis or mild head support and positioning. Struts can be cut for height customization and the chest piece is adjustable as well. For those who are either confined or spend much of the time in a wheelchair, the Savant provides excellent support for both adults and children. 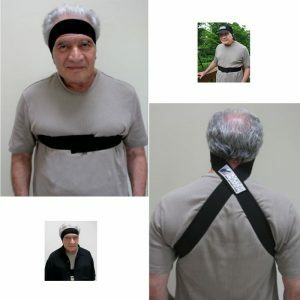 It has moldable side pieces as well as a headband support with gel pads for extra comfort. Combining this with an appropriate hardware mounting system is essential, and two versions are available that mount directly to the headrest. It is one of the most unique and supportive wheelchair headrest systems available. It can also be paired with the Axion Rotary mount for additional head control in rotation. 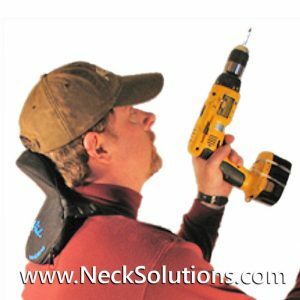 Head supports can also be used to assist in supporting the head when working to help reduce fatigue, chronic pain and injury for those working overhead, like painters, mechanics, carpenters and more. This also extends to those in whom recreational activities require excessive head extension like bird watching or mountain climbing. This is something that is usually not thought about much, but is part of what is called a repetitive injury, like carpal tunnel syndrome. 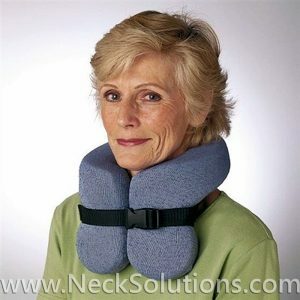 The NeckAid is a support that serves this function. 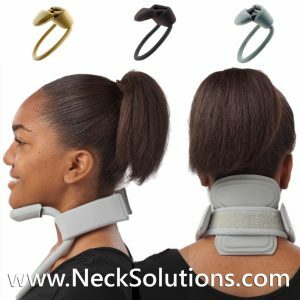 Still other head supports are postural, like the back support with head piece that allows a better posture, supporting the back of the neck and allowing a more natural head posture. While others, like the AddOn Headrest, has been crash tested and proven to help prevent whiplash injuries. 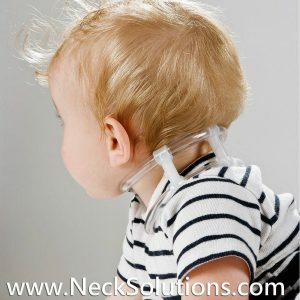 The main focus has been on head supports that provide options for direct head control, especially drop head syndrome from disease and injury, as well as support/treatment for torticollis. 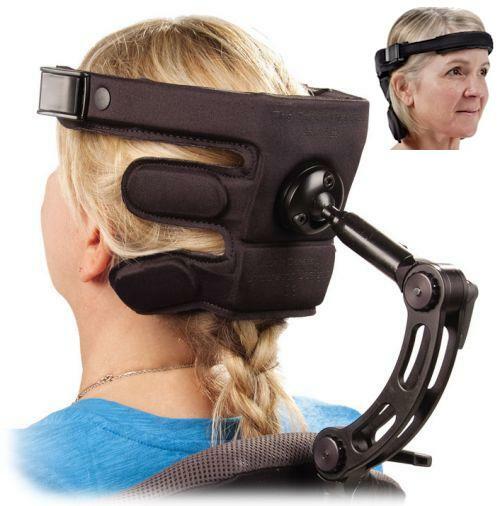 These supports are often required for serious conditions like ALS and other neurological conditions where head control is a main issue or even life threatening. There is always a compromise between support and comfort. 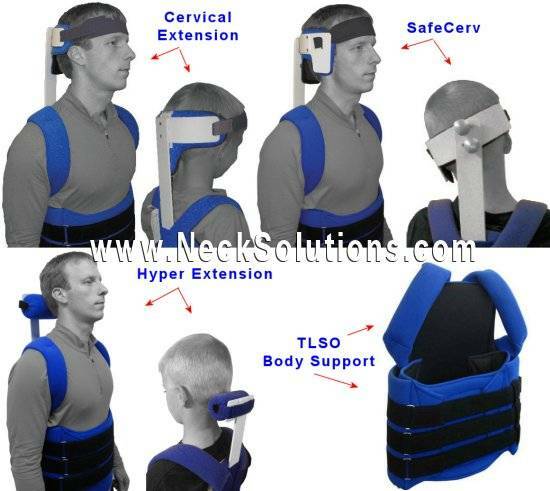 For example, the anterior support may be necessary for the Headmaster Collar in order to prevent head drop in severe cases. While this helps to provide that support, it decreases the natural spring to the collar, making it less comfortable. 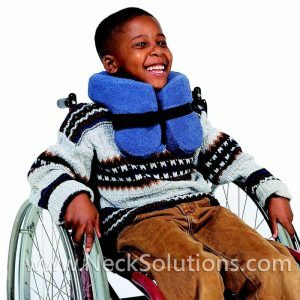 The body brace for the head support system may need to be tight for more severe cases, which will increase support, but decrease comfort. The Band/Cap System may need to be ranged more tightly around the chest. This increases support, but decreases comfort. 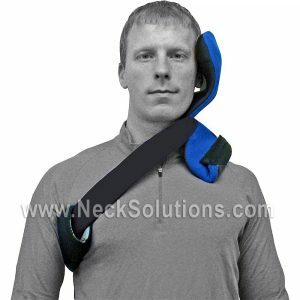 For those who have a difficult time with support under the chin, the Head Supports System offers great solutions, however, pressure across the forehead in flexion support can be an issue with some. This issue may need to be dealt with if there are jaw problems or chest problems, like breathing difficulties with other supports. So, for best results, always get recommendations and discuss with your doctor and/or therapist for your best head supports solutions. Dropped head syndrome, sometimes called head ptosis is often due to severe weakness of the neck muscles that extend the head or keep it upright. It can also result from an increase in muscle tone of the neck flexion muscles. In severe cases, this can result in a chin on chest deformity restricting ability to look straight ahead. Often, this is not a fixed condition and may be corrected by lying on the back, having someone passively range the head back for a few minutes or by using various head support devices. It can be seen isolated or associated with a various general neuromuscular disorders and neck radiotherapy for malignancies. It is usually seen isolated from a myelopathy involving the spinal cord or myopathy in the elderly and can result from severe degenerative disease of the cervical spine. It is sometimes called isolated neck extensor myopathy when seen in absence of a general neuromuscular disorder. 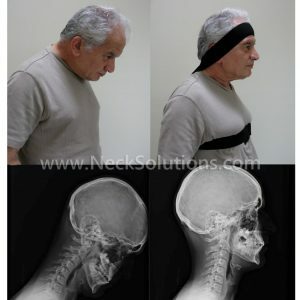 Moreover, dropped head syndrome can gradually aggravate preexisting degenerative changes or cause these changes in the cervical spine and may result in myelopathy. 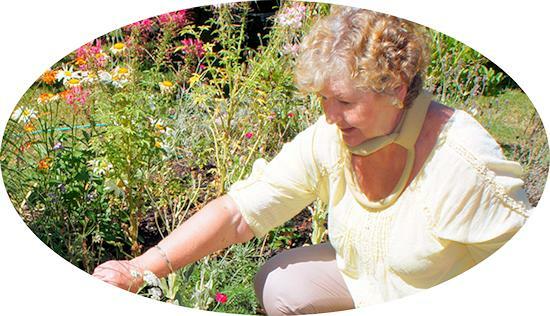 Dropped head syndrome can increase the risk of falls due to an inability to see correctly when walking, therefore, head support can be an important part of management. There are many conditions that have been associated with dropped head syndrome. Neuromuscular diseases, such as myasthenia gravis, congenital myopathy, motor neuron disease, mitochondriopathy, and chronic inflammatory demyelinating polyneuropathy. Some are systemic and progressive, with a grave prognosis, like ALS (amyotrophic lateral sclerosis), while others may have a more benign clinical course as indicated for the isolated type. As indicated above, conditions associated with dropped head syndrome are placed into categories of muscular, neurological, neuromuscular and other. Head supports are used in order to improve quality of life, ambulation restrictions, daily living activities, as well as social interactions.